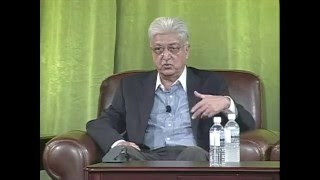 Azim Premji is a graduate in Electrical Engineering from Stanford University, USA. On the sudden demise of his father in 1966, Azim took on the mantle of leadership of Wipro at the age of 21. Azim started off in Wipro with a simple Vision - to build an organization on a foundation of Values. Under his leadership, the fledgling US$2 million hydrogenated cooking fat company has grown to a US$1.76 billion IT Services organization serving customers across the globe. Wipro is today ranked among the top 100 technology companies globally (Business Week). In the past two years, Wipro has also become the largest BPO services provider, based in India. Wipro's growth continues be driven by its core Values. Over the years, Azim has received many honors and accolades, which he believes are recognitions for each person who has contributed to Wipro. He was adjudged the Business Man of the Year 2000 by Business India and as the Business Leader of the Year 2004 by the Economic Times. Financial Times included him in its list of the top 25 billionaires who have done the most to bring about significant and lasting social, political, or cultural changes (November 2004). Time listed him (April 2004) as one among 100 most influential people in the world. He was named by Fortune (August 2003) as one of the 25 most powerful business leaders outside the U.S. Forbes (March 2003) listed him as one of 10 people globally who have the most "power to effect change," and BusinessWeek (October 2003) featured him on their cover with the sobriquet "India's Tech King." The Indian Institute of Technology, Roorkee, and the Manipal Academy of Higher Education have both conferred honorary doctorates on him. He is also a member of the Prime Minister's Committee for Trade and Industry in India. In January 2005, the Government of India conferred upon him the Padmabhushana, one of the highest civilian awards in the country. Azim firmly believes that ordinary people are capable of extraordinary things. He believes that the key to this is creating highly charged teams. He takes a personal interest in developing teams and leaders. He invests significant time as a faculty in Wipro's leadership development programs. To contact Azim Premji, fill out the form below.